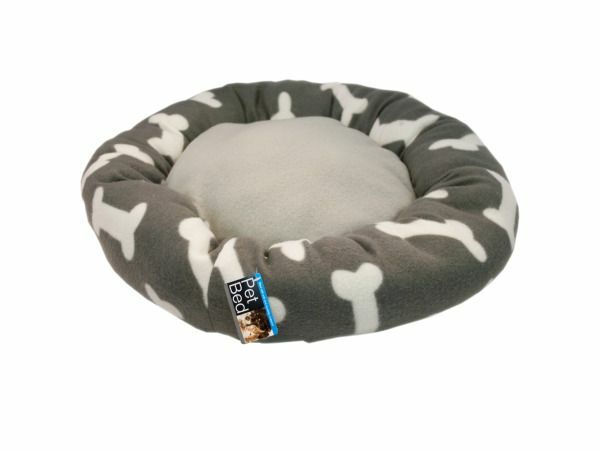 Small to medium dogs can comfortably relax on this Round Grey Bone Print Pet Bed filled with soft, durable material. A cute bone print border surrounds the luxurious round grey bed, making pets feel safe and secure. Measures approximately 22 x 22 x 4. Comes packaged with a hang tag.